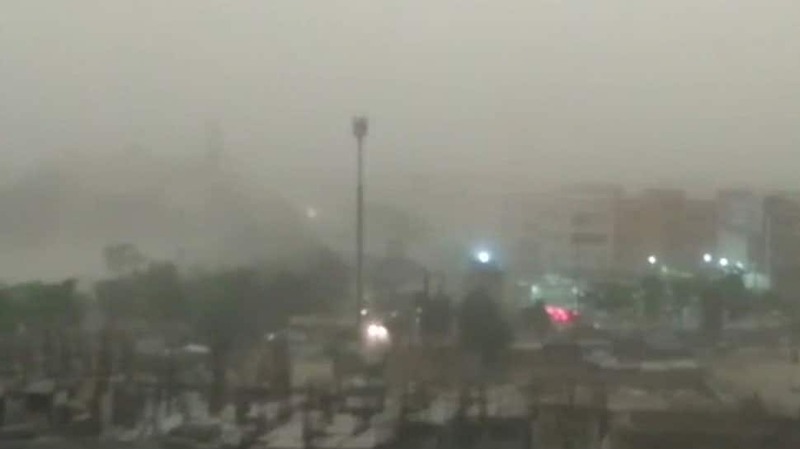 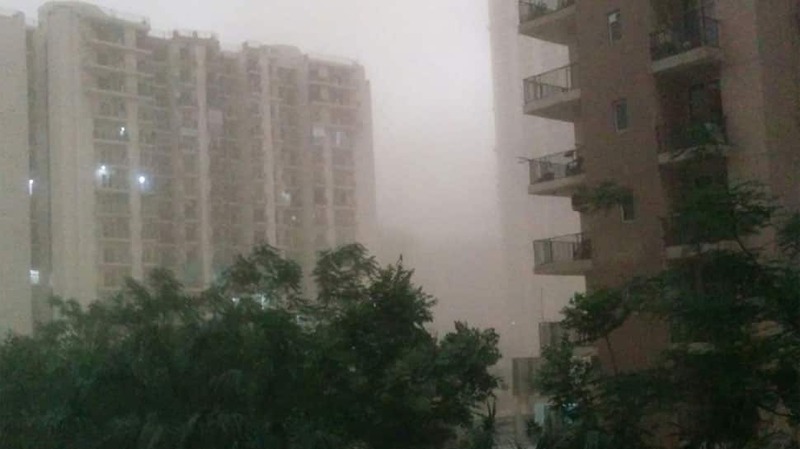 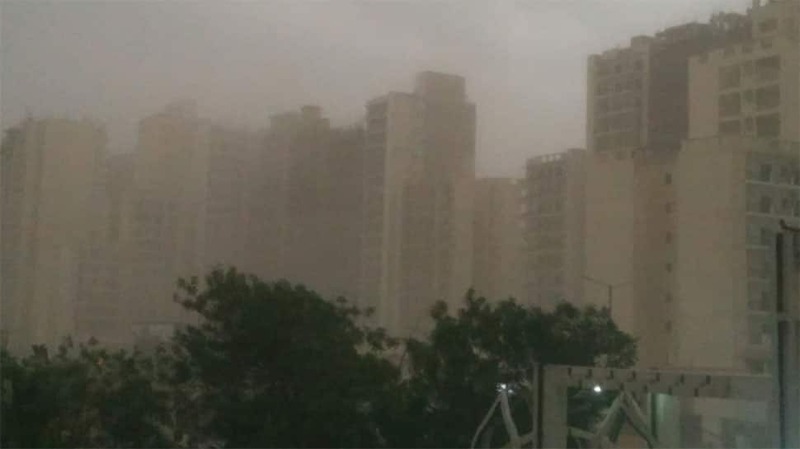 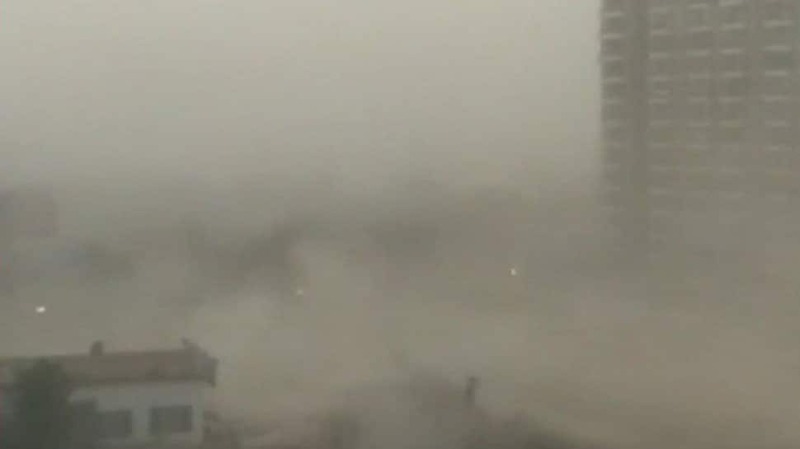 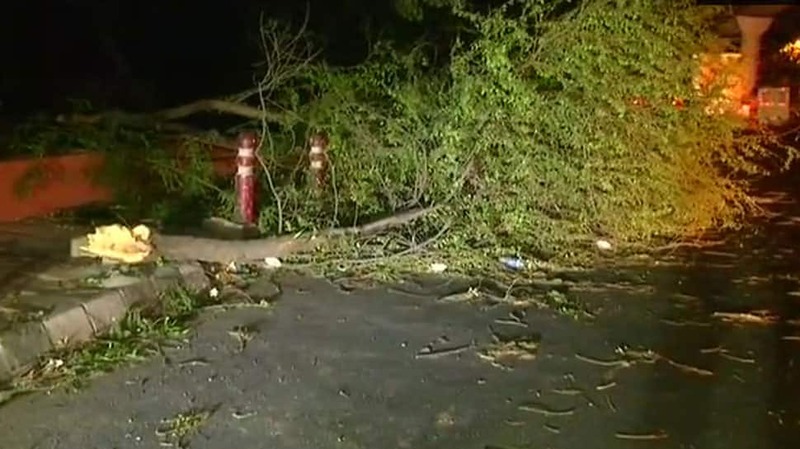 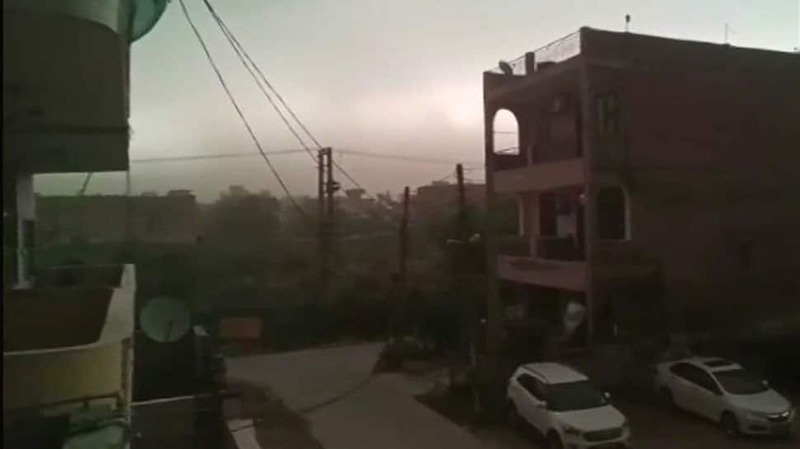 A squall and dust storm with a wind speed of up to 109 kmph battered Delhi and neighbouring areas on Sunday. 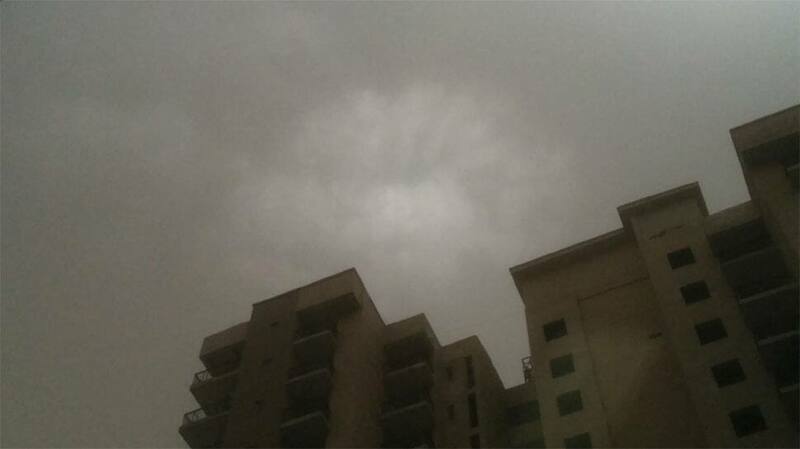 The sky turned dark grey around 4:30 pm on May 13, 2018. 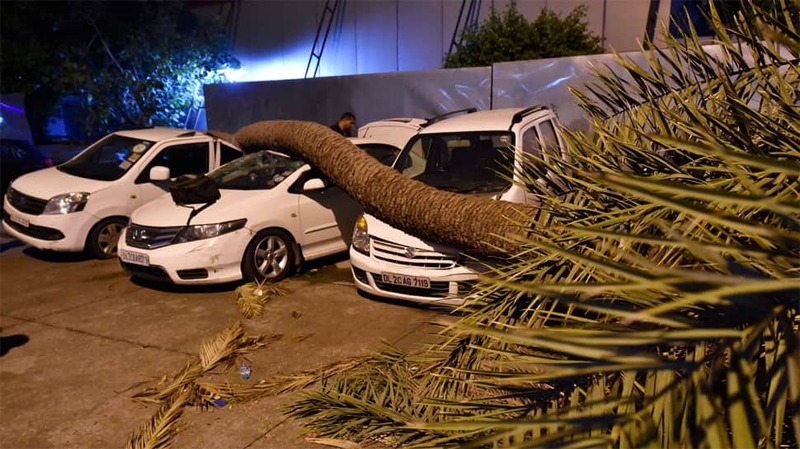 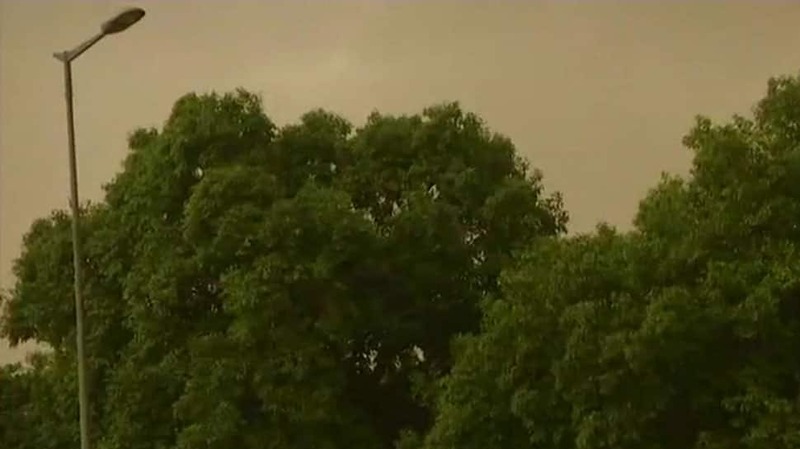 Gusty winds and rain lashed the national capital, causing the temperature to drop more than 15 notches to 25.2 degrees celsius from the day's maximum of 40.6 degrees celsius.